We have many new people we've added to our email list in the last couple weeks - so we wanted to welcome you all! 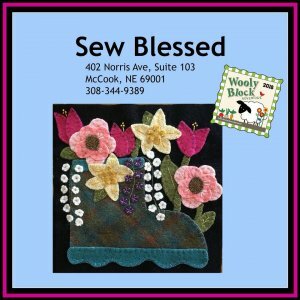 Everything you see in the Sew Blessed News is available both in store and online! What are you sewing on today? It's been cool and windy here so I've been sipping tea and working on a NEW Block of the Month we will be announcing soon! Details will probably come out next week! We've also got many fun NEW things happening around the shop so let's check it out! 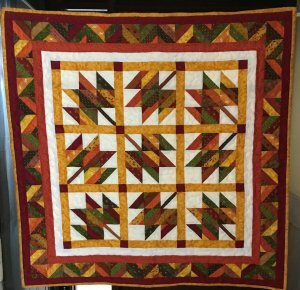 Join us for Open Sew Saturday & Open Sew Night to work on finishing those homemade gifts you have for the Holidays! Bring any project you like and a friend for the fun. 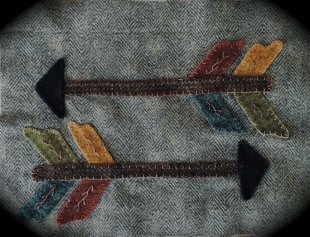 The next Faith, Family, Friends Mystery BOM has been released! Stop on in and grab your block or check them out online! Next month we will reveal the finishing and I am so excited to show you it to you!! Watch for more information about a Mystery block with us next year! We hope you will join us! We have a beautiful Fall project - Leaf It to Me - made up with the Strip Tube Ruler! How pretty is this fall wall hanging. You could even make it for a table topper! (The best part about these patterns...they all come in multiple sizes to make them larger or smaller!) And we totally love the scrappy look! 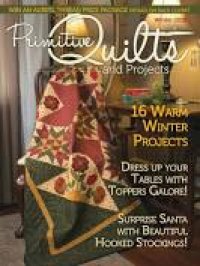 The latest issue of Primitive Quilts & Projects is here! This issue is packed with beautiful Christmas and Winter projects! Watch our Facebook for a fun Christmas Tree sample we are making! Christmas is a great time to give even the little's a homemade gift! 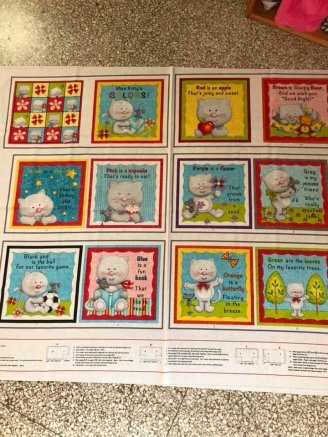 Check out the quiet book Miss Kitty’s Colors. This would make a great stocking stuffer! 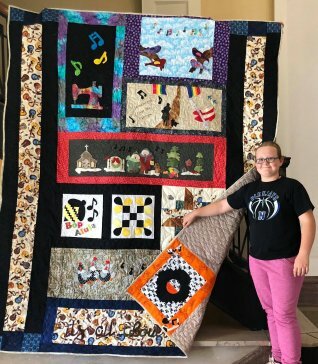 Congratulations to our Row by Row winner - Abbie Gassmann, age 11! We are so excited to see young sewers like you participate! We hope you all have a fabulous weekend! If you happen to stop by the shop tomorrow, pop up to the classroom and see what the Pamper & Press Class is working on!